The Fein MultiMaster is the original oscillating power tool, indispensable for renovation, interior construction, hobbies, and a wide variety of home and auto related projects. This versatile tool saves time, reduces effort, and ensues professional results. In recent years, a plethora of lesser oscillating tools or would-be Multimaster clones have been marketed. Don't be fooled by imitations that lack the features that make the genuine Fein tool superior, such as a 250 watt motor, long pliable power cord, tool-less blade change mechanism, and ergonomic design. These are just a few of the reasons knock-off models seem like such a great value at first but ultimately fall short. The MultiMaster has virtually an unlimited number of uses. The oscillating tool movement is perfect for many applications that would ordinarily require a larger, more cumbersome tool that would be more tiring, time consuming and possibly dangerous. A powerful motor and gearing creates an oscillating movement for superior performance when sawing, sanding, cutting, separating, scraping, or polishing a wide variety of materials and surfaces. Available as a bare tool or in complete kits, the system can be expanded with a comprehensive range of accessories for all professional applications in interior construction, renovation, and repairs. You can choose from several different Fein MultiMaster tool and accessory sets that are ranked according to included accessories and capabilities. Patented, tool-free QuickIN fast-change blade system for rapid and easy tool changes. A high performance 250 watt motor. 100 % power transfer to the blade, scraper or sanding pad. Secure and rigid accessory mounting: saw blades, scraper blades, rasp blades, sanding pads, polishing pads and more. Accessories rotate in 8 steps of 45° to provide the exact working angle required. A 16 ft long power cable (5m) for maximum tool range and mobility. Work more safely: high speed, rotating blade tools can be extremely dangerous to you and your work pieces. MultiMaster blades oscillate, making it one of the safest power tools in your shop. A single tool to tackle sanding, sawing, grinding, sharpening, and polishing. The Fein MultiMaster helps you see a real improvement in productivity when building, repairing and renovating boats. 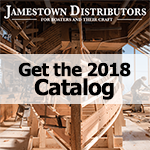 The choice of many marine industry professionals from builders to boatyard employees, the Multimaster can handle a variety of high performance cutting and sanding jobs, working well with softwoods, hardwoods, fiberglass components, carbon fiber composites, and virtually all other boatbuilding materials. Eliminate tedious, and tiring manual work: The retrofitting for new equipment in confined, tight spaces is much easer due to the Fein tool's compact size and flexibility. Restoring and Renewing Teak Decks: Fein Teak Blades remove the caulking, adhesive or sealant from between your boat's teak deck boards without damaging the wood. The blades are available in three widths: 3mm, 4mm & 5 mm. The end of the blade is "U" shaped, and it scoops out the old caulking, leaving enough room to re-apply new caulking. To prevent damage to your decking, select a blade that is slightly smaller that the caulk line you want to remove. It's the fastest, easiest method to remove old caulk. A wide selection of grits and sanding pad configurations make this tool an efficient sanding machine.. For instance, the triangular shaped pad is ideal for detail finishing work and perfect for sanding into tight corners. The new round 4" round sanding pad is twice as productive when compared to standard orbital sanders. New Flooring Installation & Repair: The Fein MultiMaster simplifies many flooring tasks - from effortlessly removing old floor coverings, such as carpet or PVC, to cutting parquet, laminate, kick plates, trimming door jambs to the correct height, and accurately sanding parquet flooring at difficult corners and edges. The choice of many contractors, it saves time and effort in all operations when outfitted with the correct accessories. Repair or Remodel Kitchens & Bathrooms: Use Fein's tile blades to replace loose or broken tiles without damaging surrounding tiles. Diamond and carbide segment saw blades cut tile grout precisely and with minimum dust. The old tile adhesive can then be easily removed with a carbide rasp or scraper blade. Interior construction & renovation: Renovate, refinish windows, doors, molding, replace tiles, lay flooring, remove caulking or restore furniture. It's great for flush cutting doors. Genuine Fein blades allow you to saw through protruding nails, screws, pipe, cut door jambs flush and fit laminate flooring or baseboard with precision. Anyone who regularly repairs and customizes cars will appreciate this fine German tool for its precision and labor-saving high sanding capacity. Body shops find it perfect for jobs ranging from small repairs in hard-to-reach places, to cutting out body parts, panel refinishing, detailing trim to paint and polishing. Genuine Fein abrasives are available in a wide variety of grits to suit many applications. Remove rust from inside corners and difficult to access surfaces using the triangle sanding pad. The new round 4" round sanding pad adds more capability for refinishing larger surface areas. The super soft sanding pad enables you to work gently but thoroughly on aluminum rims, chrome, stainless trim and sensitive paintwork. The felt polishing pad set brings a bright shine back to paintwork, aluminum, chrome and stainless trim. This complete tool system features a comprehensive selection of accessories. The HSS saw blade for wood turns the Fein MultiMaster into an oscillating mini circular saw ideal for long, exact cuts. Can be used with or without a depth stop. With the E-Cut saw blades, trim plasterboard and make cut-outs easily for electrical installations, etc. in sheets that have already been installed. The cutting depth for all E-Cut and HSS saw blades for wood can be set with infinite variability with the MultiMaster depth stop accessory. Use the rigid scraper blade to remove carpet adhesive residues, coatings or other stubborn materials. The flexible scraper blade is perfect for removing elastic materials such as caulking, adhesive residues or paint. The carbide rasp is the all-around accessory for tiling. It smooths adhesive glue, sands edges and ensures a flat base surface. The Fein MultiMaster Tile Kit contains everything you need to remove cracked or chipped ceramic tile and old grout. Use it to make professional repairs to tile walls, floors or counter tops. Quickly sharpen tools and gardening equipment, in most cases without removing the blade, with the MiniCut and File Set. The sanding or grinding of most materials can release considerable dust that settles as a fine layer on surrounding surfaces that then takes effort and extra time to remove. Pair your Multimaster with a Fein Turbo vacuum for a cleanm dust-free piece and work environment. A built-in on/off switch allows the dust extractor to be triggered on and off automatically while the tool is in use.